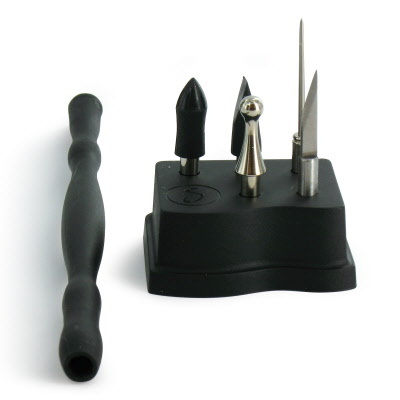 Multi-purpose tool with 5 interchangeable heads. 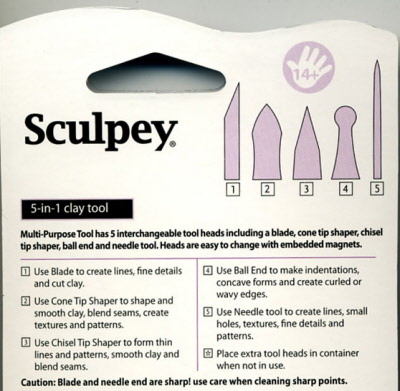 Includes a blade, cone tipped shaper, chisel tipped shaper, ball end and needle tool. A unique magnet design and tool head storage makes switching tool heads quick and easy.